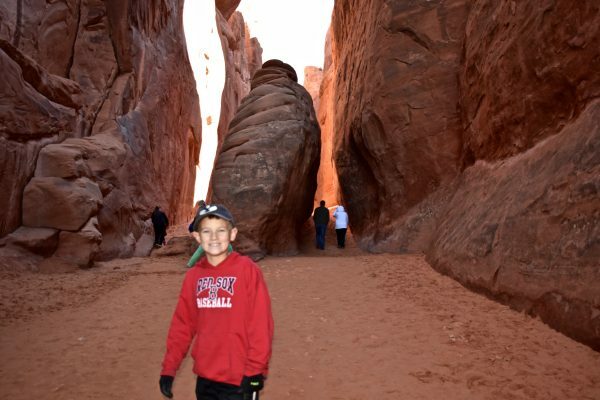 Sand Dune Arch is our must-do hike for those traveling with children in Arches. This hike is very short (under a half mile round trip) and gives kids the opportunity to play in the sand. 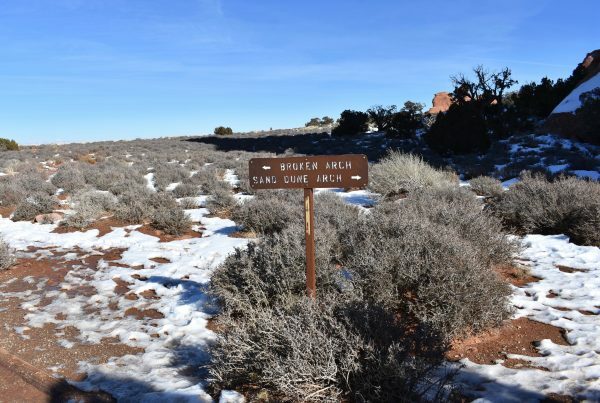 The trailhead for this arch is near the far north end of the main park road. 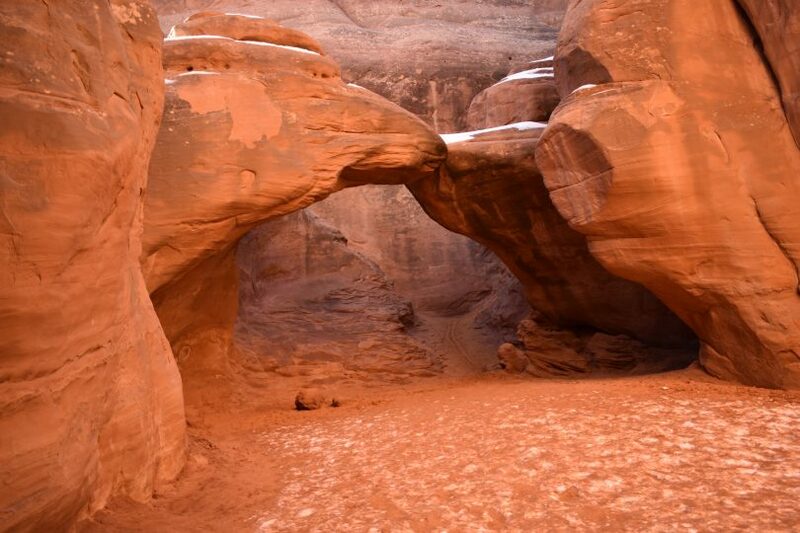 Sand Dune Arch is a pretty little arch squeezed between high canyon walls. From the parking lot, the trail heads east just a few yards before splitting. 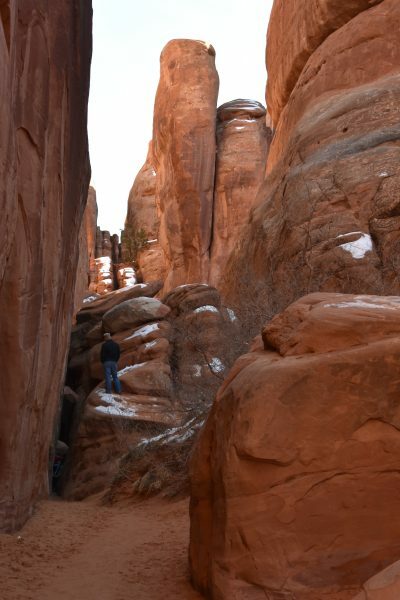 The trail to the left goes to Broken Arch, which is beautiful. You can actually see Broken Arch as you begin hiking. The trail to the right turns through a short, narrow slot. It is always dark and shady, and before you know it, the sand is ankle deep. After a very short distance, Sand Dune Arch appears on your right. 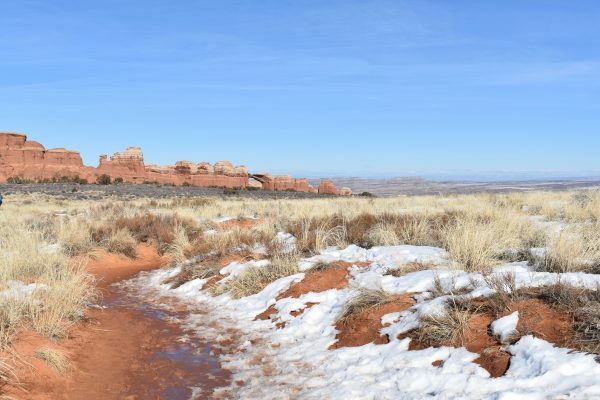 As you follow the trail to Sand Dune Arch, you can see Broken Arch in the distance. Turn right at the sign and head to Sand Dune Arch. The trail heads right into a little slot canyon. 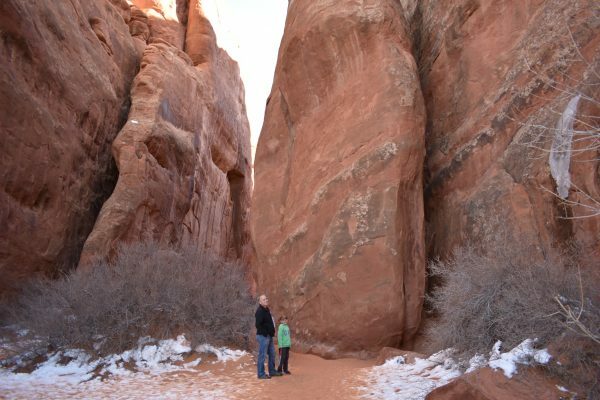 We love the shade from these towering walls on the way to Sand Dune Arch. Soon the trail turns to sand and you know you are close to the arch. 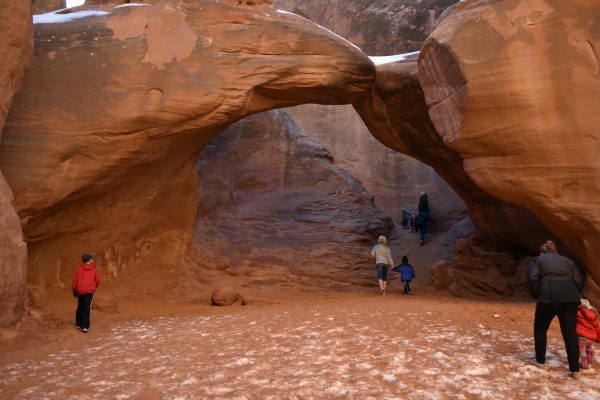 You can walk right underneath Sand Dune Arch. 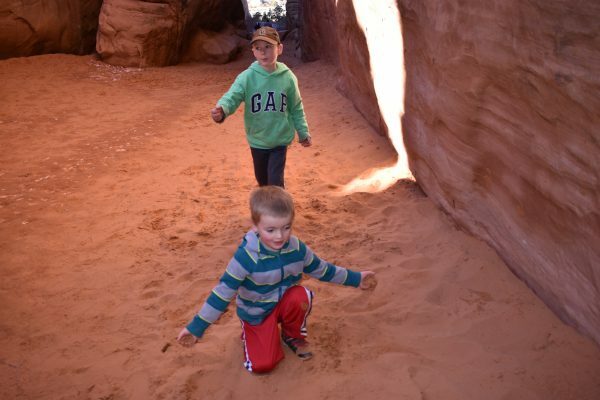 Kids love to dig in the sand under the arch, but please avoid climbing on the arch or etching into the soft sandstone. This has been a problem in the area, so please be responsible and leave the park unmarked. If you have sand toys, take them with you. If you dig just a few inches down, you’ll find that the sand is nice and cool. 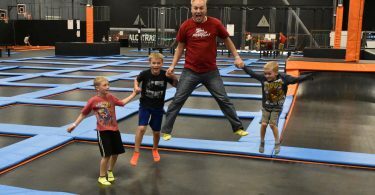 Our boys also like to explore a little bit around this area in the narrow slots, but make sure to keep an eye on your kids so they don’t get lost. Sand is the best thing about this arch! It’s a huge sandbox. The little slot that this arch is in is beautiful. 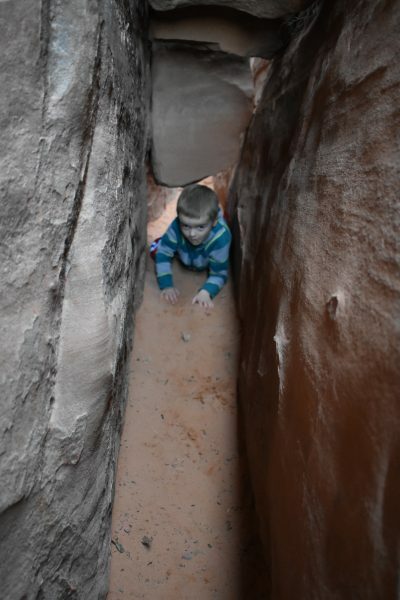 Our boys enjoy crawling though narrow cracks, but their mom does not love it. 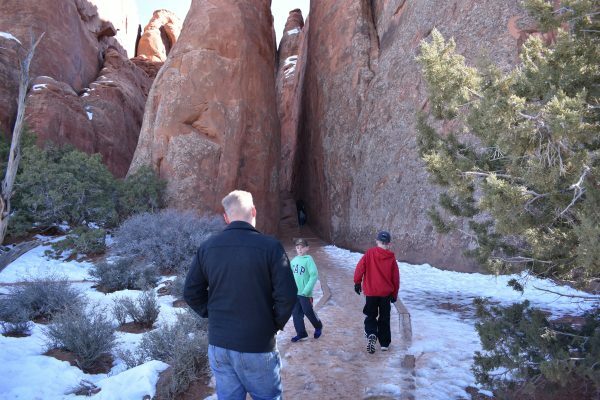 This is a great place for the kids (and adults) to take a break from hiking up and down those hot trails as Sand Dune Arch has moderate shade. 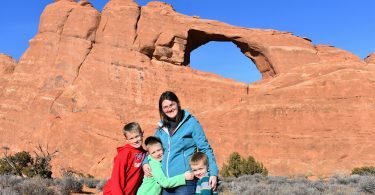 It is definitely a must see arch when visiting Arches National Park as a family. 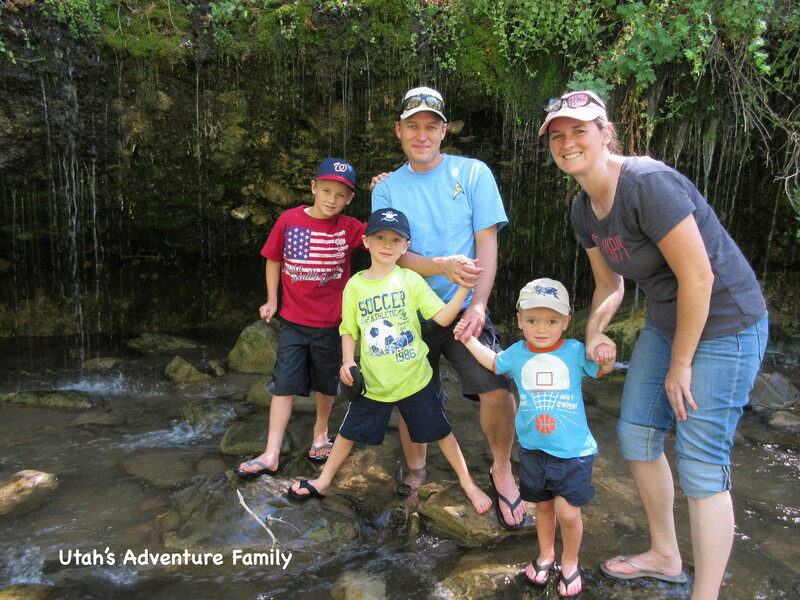 If you are looking for other family friendly hikes, visit our Arches Kid Hikes Post.